Every so often, I get to write for this great site named Christ and Pop Culture. My relationship with CAPC happened gradually, as so many do. You start out as friends, you find yourself more and more often in the same place, you realize that he's funnier than you first thought, and smarter too. And then one day, you wake up to discover that you're meant to be together. Well, it wasn't exactly like this, but I have come to believe that the folks at CAPC are some of the brightest, funniest, and most committed Christians writing on the web. Christians tend to have a complicated relationship with the culture around us. From our earliest days, we're taught that we are not of this world, but then we spend the majority of our lives living in it--encountering and engaging with art, thought paradigms, and culture that may or may not be consistent with the Christian faith. It creeps into our worship, influences our buying habits, and affects how we raise our kids. Even those of us who actively try to protect ourselves from its influence are shaped by it, if only in response. CAPC exists to be a guide in this crazy, often confusing world, to uncover what is beautiful and good and to call out what is tawdry and evil in our culture. To do this, they write on a whole host of topics that Christians rarely talk about well: gaming, the music industry, television, movies, technology, and cultural events. I don't agree with every opinion that every writer presents at CAPC, but that's also one of the things that I love about it --it's a space for vibrant, engaging dialogue and at times, flat-out disagreement. CAPC also offers a monthly membership that allows you access to their fantastic online community (if you're a blogger or writer, this interaction alone justifies the cost of membership), free book and music offerings every month, and a subscription to their bi-monthly magazine. And that's nothing to speak of the loads of free content that go up on the blog weekly. 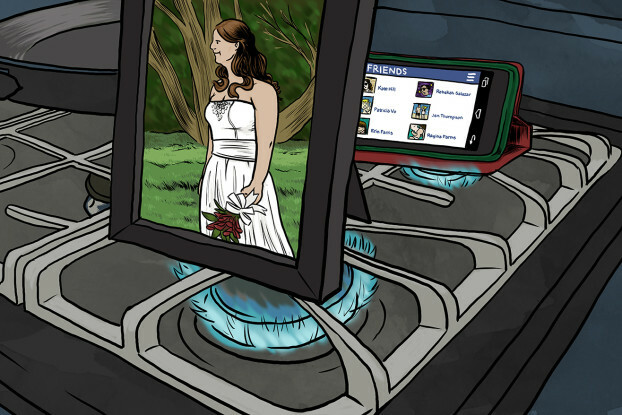 Last month, I wrote a piece for CAPC about the struggle of romantic commitment in a digital age. It seems that more and more of us are using social media and technology to keep in touch with friends and previous lovers as a kind of insurance in case our current relationship goes bad. These "back-burner" relationships pose all kinds of questions for Christians. Even if they are not steamy or exotic, what are the potential dangers of cultivating them? How does digital interaction skew our sense of reality? What does marital commitment require of us? The irony of commitment—the kind evidenced in marriage—is that it exists because of the what if, not despite it. Without the potential for other alternatives, the concept of commitment is meaningless. If two people are by all measures the clearest, most direct avenue for each others’ happiness, they will naturally gravitate toward one other, bound together by sheer self-interest. In this sense, marriage exists, not because other viable options don’t, but precisely because they do. You can read the rest here at CAPC.